The LED on the Linksys Camera indicates the status of the camera. The LED flashes during boot up when the camera is initializing. When powered on, the LED is lit and is blue and will be lit steadily when the camera is ready to be use. It can also be disabled for a more discreet operation. This article will guide you in disabling the LED light of the wireless-g camera. Access the camera’s web-based set up page. For instructions, click here. On the Home page, click the Setup tab then select the Basic sub-tab. 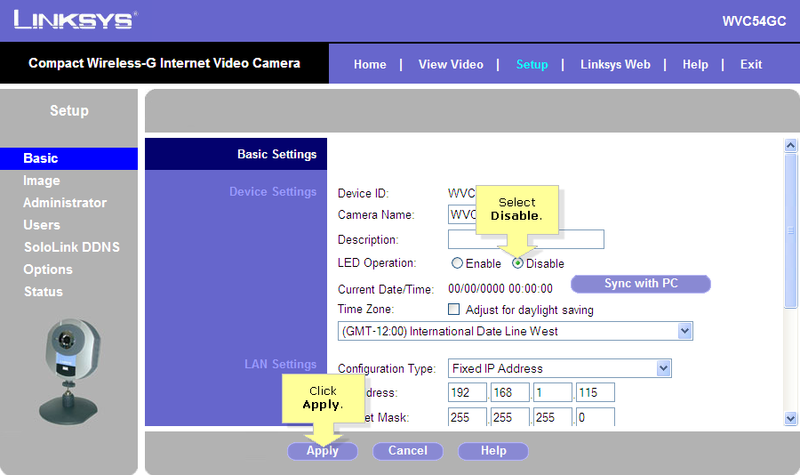 On the Basic page, select Disable for LED Operation then click Apply. 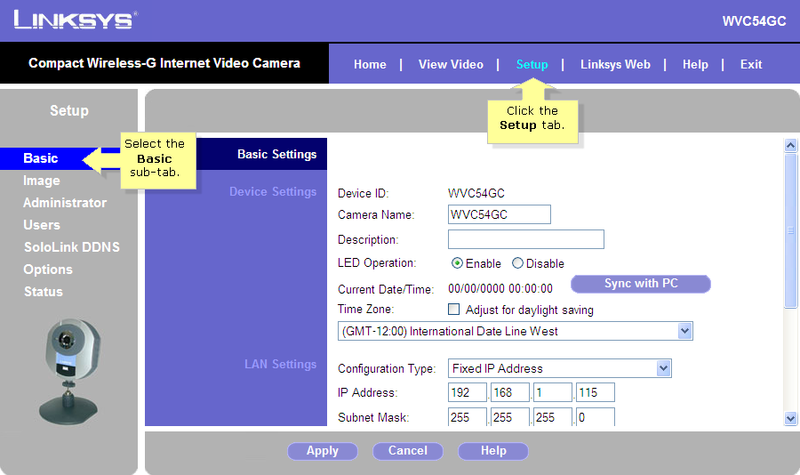 Once the LED has been disabled, double-click the Linksys Viewer Recorder Utility icon at the bottom-right corner of the screen to check on the camera status.